If you would like to order something from my exsisting line of work, or commission me to make something designed just for you, please call, email, or message me from the Contact link located on any page here. I will discuss payment options with you and any other details or questions. Whether you've ordered something to be made from my exsisting line, or If your selected bronze is already in stock. Full payment and shipping cost must be paid before shipment. Shipments are insured in case of damage. All sales are final unless something is damaged during shipping. I am pleased to now offer several payment methods. Making a safe secure purchase is very easy. Payment can be made by: #1. Personal check, #2. Money order to Kirk McGuire. #3. Wire transfer. #4. 'Square' card reader. #5. PayPal. You can also pay easily and securely using your credit or debit card with, or without having a PayPal account. #6. Purchase through our Etsy store. Purchases must be paid in full, including shipping. You can discuss payment and methods with me, details will be provided upon request. This website is secure. But, for an extra level of security, purchase payments are not made through my website. Sculptures in existing line are made to order. Occasionally there are pieces in stock. If in stock, shipment can usually be made within one to three weeks after full payment has been made. If not in stock standard production lead time is 8 - 12 weeks not including shipping. Ordering pieces in stock or not already in stock requires full payment plus shipping. This is non-refundable. Commissioned sculpture, or monumental installments do not apply to this timeline. 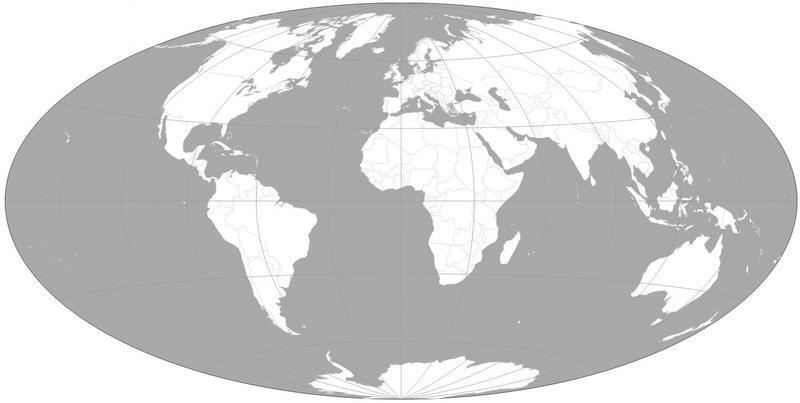 Packaging/shipping cost within the continental United States have already been determined, if international shipping, it will be discussed with me, determined and charged on an individual basis. Larger sculptures/tables need a custom crate, Your bronze will be safely packaged, insured and shipped as arranged. Glass table tops will be dropped shipped separately to you from the glass factory that supplies us. On international sales we will ship the glass. A receipt and quality assurance letter that guarantees no more than one artist's proof will ever be made, signed by me and will accompany each sculpture. A care sheet describing how to care for a bronze. 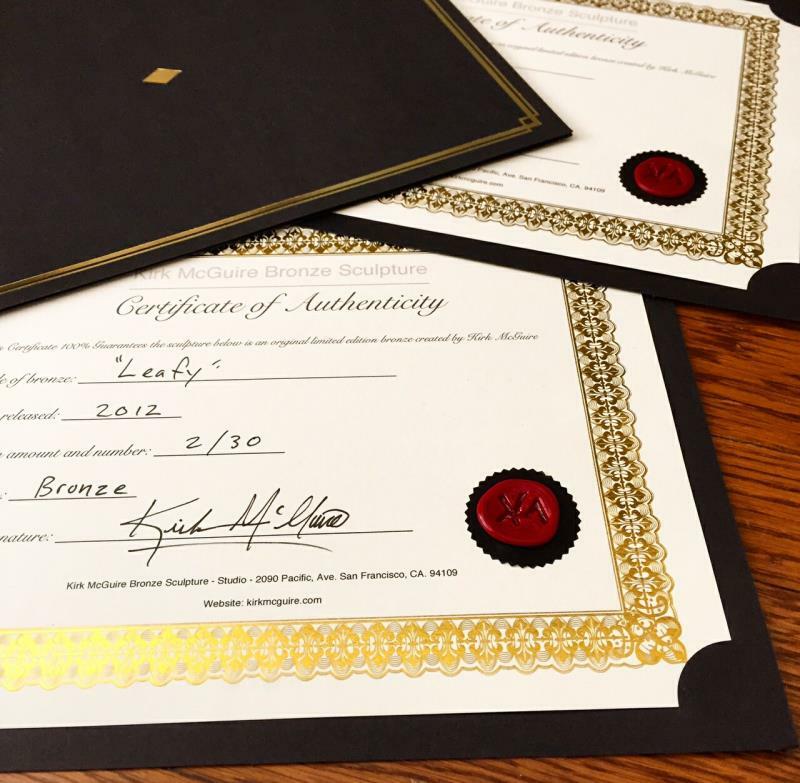 A signed Certificate of Authenticity will accompany each bronze as well. Worldwide sales and shipping, commissions, installations. I am happy to provide you with answers to questions you have, so please leave a message, email, or call me directly. As well should you have an interest in having me create a custom Marine life / Wildlife sculpture, or table. Possibly a large installation? Please do not hesitate to contact me. Call Me Direct 415 - 497- 7169 or connect from the 'Contact' link on any page.